Today we will take a look at Hantec Markets, a forex broker out of the UK. As you can expect, Hantec Markets is regulated by the FCA or Financial Conduct Authority and given the absence of any negative events out of UK brokerages makes this one a very secure destination from the start which is not the case for U.S. brokers who are regulated. Their website features a nice and professional design and is very easy to navigate. Visitors should have no problem to find the information they are looking for which takes away the hassle to spend time locating information. Their ‘About’ page offers plenty of information and gives visitors a good snapshot into Hantec Markets while the ‘Chairman Message’ is a much appreciated feature and Hantec Markets is also transparent about their management team. Overall we could have not asked for a better first impression. 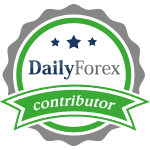 They offer a great list of currency pairs with very competitive spreads which is excellent for more mature traders who do not only want to trade the major currency pairs, but also take advantage of currency crosses like TRYJPY and USDCZK. They also offer a few CFD’s, but to a lesser extent. You can find gold, silver and oil as well as major indices. Hantec is a NDD or Non-Dealing Desk broker and all orders are automatically executed as this forex broker does not trade against clients and basically does not care what you trade. They offer maximum leverage of 1:200 which is just about as high as you may want to go. Unfortunately Hantec Markets does not offer deposit or withdrawal services such as Skrill and you can only deposit via bank wire or credit card. Another great feature is that you can hedge with zero margin which makes it even more attractive for professional traders. The minimum deposit is $1,000 and it makes no sense to operate an account with less than that as you will not be able to execute proper risk management as well as operate a good trading strategy. Hantec Markets offers just about every popular trading platform starting with MetaTrader 4 as well as Currenex Classic and Currenex Viking. The great feature is that with a $1,000 deposit this forex broker gives you the MyFX plugin for MetaTrader 4 free of charge which is an amazing upgrade and takes your MetaTrader 4 from a retail platform and transforms it into a professional trading platform. The annual subscription for the MyFX plugin is $249, but Hantec Markets gives it away free of charge to their clients. Hantec Markets offers you just about everything you can ask for and they are operated out of the UK which makes it a very secure location for traders and puts them right into the financial capital of the world. There offers are hard to beat and the only thing we would like them to add is an ECN platform, reduce your spreads a bit more and offer a payment processor like Skrill. Our overall verdict is two claws up and Hantec Markets grabs our number one spot among mature forex brokers who cater to the intermediate traders; the Last Bear has roared!